Yesterday Year 1 pupils visited John Spence to take part in a Multi-skills Competition with other local schools. All the children had a fantastic time and their behaviour and sportsmanship was second to none! 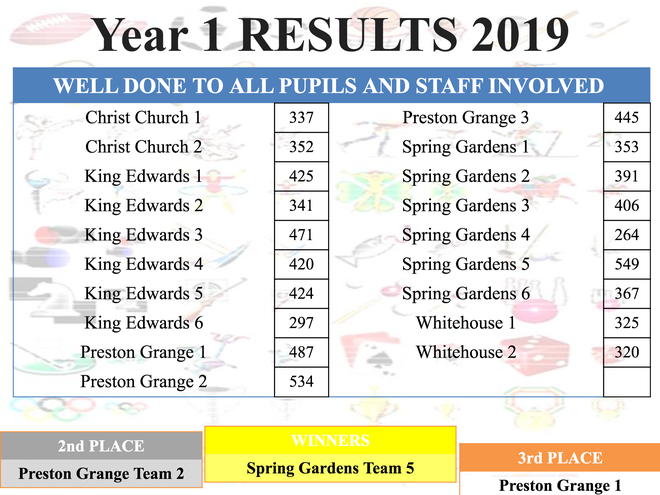 Spring Gardens Team 5 were overall winners of the competition! Well done to everyone who took part!